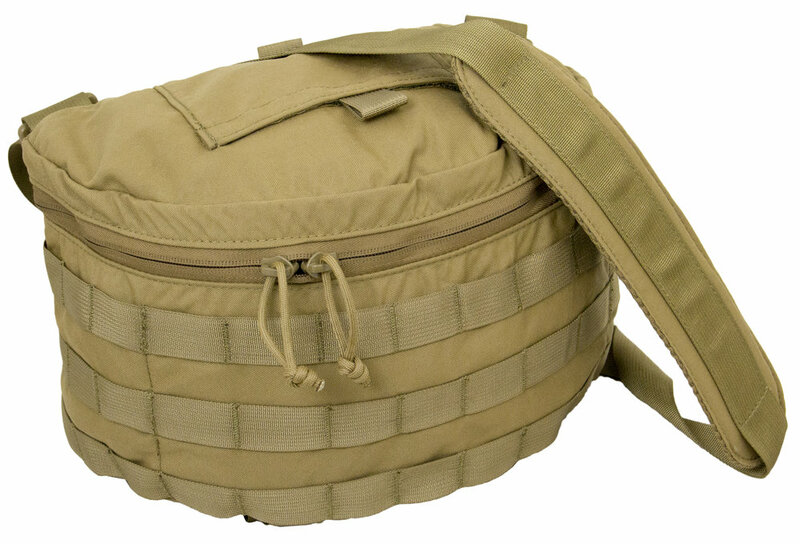 The Tactical EMS (TEMS) bag provides for individual emergency response to multi-casualty situations. 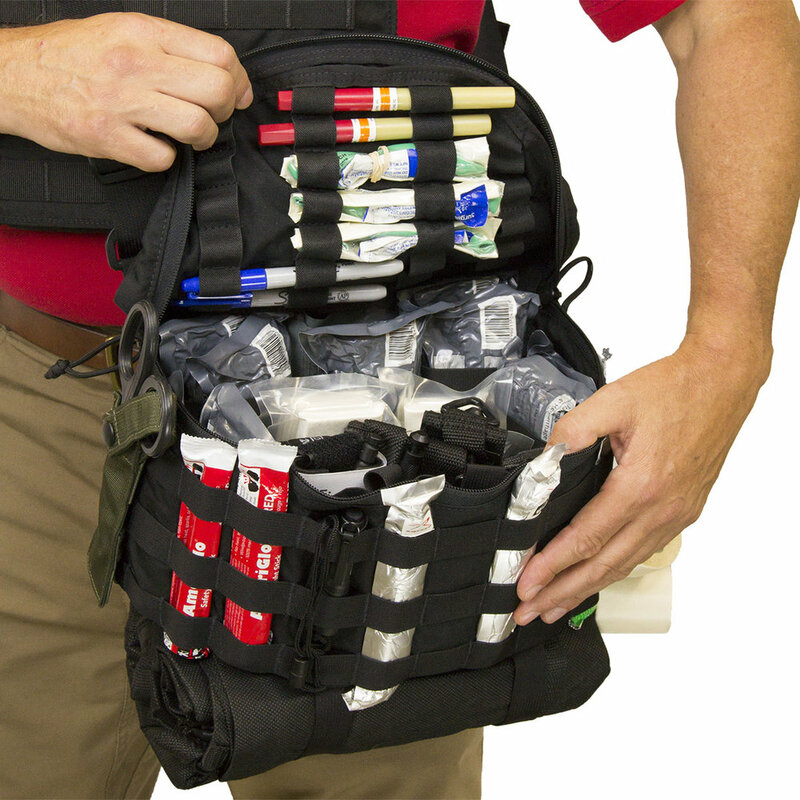 TSSi’s TACOPS™ Tactical EMS (TEMS) bag provides for individual emergency response to multi-casualty situations. Designed to be worn diagonally over the shoulder or as a fanny pack, the bag can be easily accessed and then rotated behind the wearer to get it out of the way. 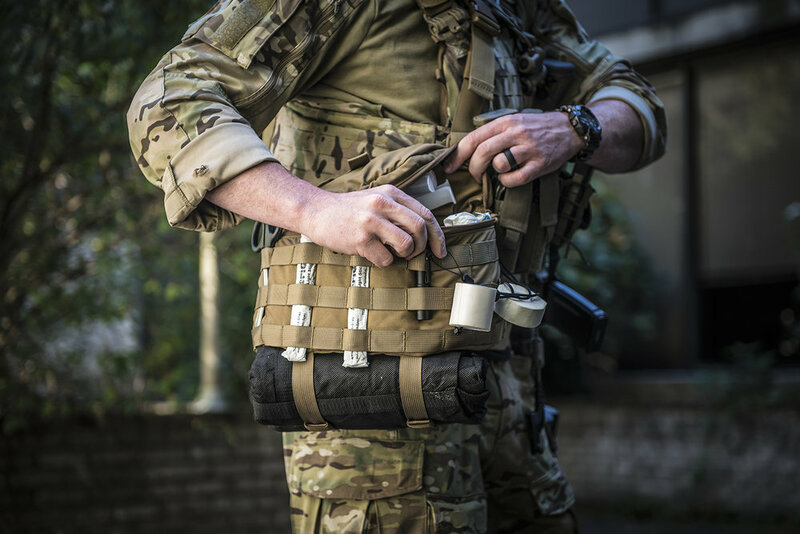 External features include PALS webbing across the front, a glove pouch on top, a large pouch for chest seals on the back, and straps to hold two pole-less litters on the bottom. Inside the lid are elastic loops for decompression needles, airways and markers. The main pouch in our pictured TEMS bag is securely holding 10 compression bandages, 4 tourniquets, 6 packages of compressed gauze, and 4 hemostatic agents. The bag can be purchased empty or with any user-specified load out.